On January 15, 2009, the news was filled with the miraculous story of US Airways Flight 1549 a regularly scheduled commercial passenger flight from New York City to Charlotte, North Carolina that ditched in the Hudson River six minutes after departing from LaGuardia Airport was told. The aircraft was an Airbus A-320. The entire crew of Flight 1549 was later awarded the Master's Medal of the Guild of Air Pilots and Air Navigators. 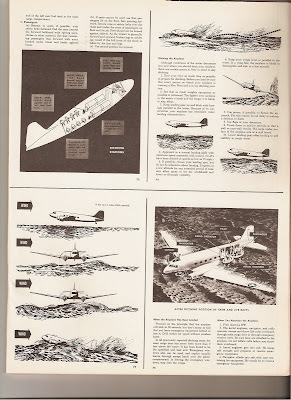 The award citation read, "This emergency ditching and evacuation, with the loss of no lives, is a heroic and unique aviation achievement. Ditching an aircraft into a body of water has always been a last resort because it is a maneuver fraught with danger. On the ocean ideally the aircraft should be ditched along the line of the waves rather than across them but on a river it is a different scenario. How to avoid ploughing into the water at 100mph or more, and cart-wheeling and breaking up the aircraft. On December 22, 1954 a DC-3 had to ditch in the Monongahela River near Pittsburg. This story had a much different outcome. This is the story of the investigation of Johnson Flying Service Flight 4844-C a CAM (Civil Air Movement Of Military Personnel)Flight from Newark, New Jersey, to Tacoma, Washington. All the information gathered and put into a story by myself is from the records of the actual CAB Accident Investigation Report released on April 8, 1955. This flight did not have as good an outcome as flight 1549 had..
At approximately 2300,1 December 22, 1954, a Douglas DC-3C, N 24320, owned and operated by. the Johnson Flying Service, Inc., Missoula, Montana, was ditched in the Monongahela River because of fuel exhaustion while making an approach to the Allegheny County Airport, Pittsburgh, Pennsylvania. Ten of the 28 persons on board, including one crew member were drowned. The aircraft was damaged slightly by the water landing, but received substantial damage while it was being removed from the river. The flight from Newark to Tacoma was planned to be flown with intermediate stops in Pittsburg, Pa. Colorado Springs, Co. Monterey, California and Tacoma Washington. The crew Consisted of Captain Harold A. Poe, Captain Joseph J. Grekowicz, and Co-pilots Clarence E. Chapman and Charles R. Carter. Captain Robert P. Walker, the fifth crew member was used as the cabin attendant for the departure from Newark. 23 Passengers were boarded on the aircraft. Fuel 170 Gallons of 100 octane fuel. The fuel was distributed in equal parts between the two main tanks. According to the manifest. @ time of departure the aircraft weighed 25, 317 pounds within the maximum TO weight of 25, 346. The load was distributed in accordance with prescribed Center of Gravity computations. Prior to departing Newark, Captain Poe filled with the CAA by telephone a flight plan indicating a flight to be made in accordance with visual flight rules (VFR) to the Allegheny County Airport, Pittsburgh, Pennsylvania. The route to be followed was via Amber 7, Green 3, and Red 21 Airways. 2. The flying time to Pittsburgh was estimated to be one hour and forty minutes, at a true airspeed of 155 knots, with two hours and forty minutes of available fuel. 22:50..Douglas 4320 Pittsburg Radio, Nothing for a DC-3 Douglas 4320, It’s either Greater Pittsburg or Allegheny County, over. 22:53.. Douglas 4320, Pittsburg, winds aloft, 3,000 , 260 degrees 10 knots. 22:55.. Allegheny Tower, Douglas 4320 , landing instructions, over. 22:55.. Douglas 4320, Tower you are cleared for a straight in approach to runway 27, please report when 3 miles out. Weather, wind southwest variable south, calm to 10, altimeter 29.84. over. 22.56..Allegheny tower , 4320, 3 miles east on final approach. Over. 22:57..Douglas 4320, Cleared to land. 22:57 Allegheny Tower, 4320, is out of gas. 22:58.. I doubt it very much, we have both engines feathered , we are coming down over the red lights. I don’t know if we’ll make it or not, We are at 2,000 feet. 22:58 We are going to set it down. Ditching was one and one-half miles south of the McKeesport, Pennsylvania, bridge and approximately two miles southeast of the Allegheny County Airport. The aircraft came to rest about 35 feet from the west bank of the river at a point which is 600 feet below the elevation of the airport. According to witnesses it floated for a short time and was completely submerged in approximately 15 minutes. Prior to sinking, the current of the river turned the aircraft to the left and slowly moved it approximately 450 feet downstream to a position about 75 feet from the west shore. Following ditching all passengers were evacuated through two emergency exits, one over each wing. None of the passengers or crew received injuries during the ditching. The last person to leave the cabin was Captain Walker, who estimated that it took approximately seven minutes to get everyone out of the cabin and on the wings or fuselage. Some of the passengers could not swim and the icy waters made it difficult for even good swimmers to reach the shore. After recovery from the river the aircraft and engines were examined and found to be capable of normal operation at the time of the accident. Each of the four fuel tanks contained approximately a gallon of fuel. Water In varying amounts found in these tanks was unquestionably the result of the aircraft's submersion in the river. Copilot Chapman stated that the engines and aircraft functioned in a normal manner throughout the entire flight. The crew, the aircraft, and the carrier were properly certificated. The company did not properly check the competency of the crew in accordance with their operations manual prior to flight assignment. The aircraft was overloaded at time of takeoff. The flight was improperly planned, and was not conducted in accordance with the company's operations manual. The captain, contrary to the company's operations manual, passed a suitable refueling facility after being advised that if the flight continued to its destination it would be necessary to use reserve fuel. Weather along the route was good and approximately as forecast. The aircraft was ditched in the Monongahela River, two miles from its destination because of fuel exhaustion. The Board determines that the probable cause of this accident was fuel exhaustion brought about by inadequate flight planning. Contributing factors were inadequate crew supervision and training. It is apparent that this accident was operational in nature. Many things must be considered in properly planning and completing a flight. The general conduct of this flight clearly indicates poor judgment, carelessness, and lack of supervision and training. The fact that a Flight Plan and Log was not prepared prior to departing Newark and that the copilot did not know the route to be flown was the result of poor crew coordination and flight planning. While it is not known exactly how much fuel was on board when the aircraft departed Newark, it is apparent that there was not a sufficient amount of fuel to fly to Pittsburgh by either of the planned routes and arrive there with any margin of safety. The elapsed time of the flight from takeoff to ditching was two hours and twenty-two minutes. Considering the altitude and distance flown, and the various power settings which the copilot testified were used, together with other known factors, it is calculated that approximately 260 gallons of fuel were consumed. This would have made the aircraft overloaded at the time of takeoff. The passengers’ baggage when recovered weighed more than that shown on the manifest. In addition, the operations manual required that the baggage of all crew members and the flight kit be weighed and this amount shown on the manifest. While it is not possible to determine with precise accuracy the total weight of all the above-mentioned items, it is obvious that the aircraft was overloaded at the time of departure. The inclusion of any additional weight to the figures shown on the weight and balance manifest would have reduced the allowable fuel load below the minimum of 200 gallons required for takeoff. Captain Poe estimated the flying time to Pittsburgh to be one hour and forty minutes. 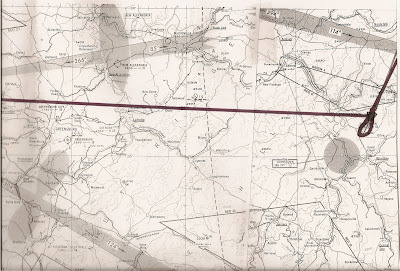 The distance, along the route shown in the CAA flight plan, is approximately 271 miles. To accomplish this in the estimated time would require an average ground speed of 163 knots. With the wind along the route forecast to be from the northwest and west averaging over 17 knots at the planned cruising altitude of 4,000 feet, this ground speed is unrealistic. Under these conditions a reasonable ground speed would be approximately 126-130 knots and would require an average elapsed time of two hours and seven minutes. The Flight Plan and Log which Copilot Chapman prepared after departure included many mistakes, among which were: Wind directions and velocities different from those that were forecast; a higher . 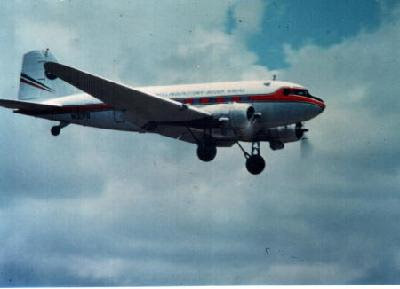 Airspeed than is reasonable to expect for a DC-3 unless flying at higher altitudes; airways which differed from the route filed by Captain Poe; some stations, courses, and radio frequencies that did not agree with either the filed CAA flight plan or the airways shown on the Flight Plan and Log; some errors in ground speed of 13 knots or more; and an estimated total time which exceeded the one hour and forty minutes estimated by Captain Poe. The estimated ground speed used was 148 knots, whereas the actual ground speed made good averaged only 126 knots. The company operations manual states, "The average hourly fuel consumption for a DC-3 to be used in flight planning is as follows: 80 gallons." Based on this figure the 225 gallons on board, as shown on the weight and balance manifest, should have allowed the aircraft to remain airborne for two hours and forty-eight minutes. Instead, the fuel was exhausted in two hours and twenty minutes of flight. There are many variables such as power settings used, altitude flown, and load, to mention but a few, which must be considered in order to accomplish any flight at a specified average fuel Consumption. It could not be positively determined just where the aircraft was when it reported being over Johnstown at 2244; however, if it had been over Johnstown at this time, the average ground speed from Johnstown to the point of ditching would have been about 178 knots. This ground speed is unreasonable, considering the headwinds encountered in that portion of the flight and the fact that power was reduced to conserve fuel. Copilots Chapman and Carter testified they believed they were over the Johnstown radio beacon and later over the airport area. However, when there they did not see the airport rotating beacon, runway lights, or the lights of the city. These lights were on at the time and should have been seen if the aircraft was in that vicinity. It appears, therefore, that a navigational error must have been made and that the aircraft was actually some place else. 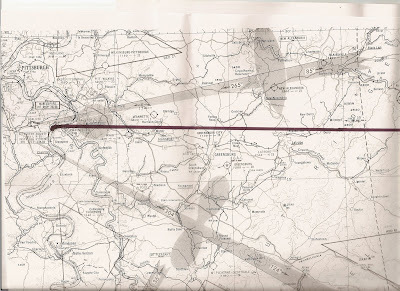 As an example, it may have been over the New Alexandria radio beacon, which is approximately 27 miles west-northwest of the Johnstown Airport and nearly on course between Westover and Pittsburgh. One of the cardinal rules of safety which is set forth in the operations manual is, "Pilots are not to pass up a refueling facility unless they have sufficient fuel and oil to reach the point cleared within reserve limits established." On the subject flight Captain Poe was advised when the aircraft was near Philipsburg, an available refueling point, that to continue the flight would necessitate the use of reserve fuel. Again the crew demonstrated a decided disregard for the principles of safety by passing an acceptable DC-3 refueling airport. The captain's judgment may have been influenced by his desire to accept the entire assigned payload in an effort to save money for his company. This limited the amount of fuel which could be carried and made necessary frequent and costly en route refueling stops. Because of this he my have elected to use a part of his reserve fuel to extend each leg of the flight. It is incredible that an air carrier aircraft flown by accredited personnel could be forced down for lack of fuel on a short night flight in good weather when me think of the great progress aviation has made to date, particularly with respect to pilot training., aircraft instrumentation. Navigational aids, and airport lighting. The aircraft, N 24320, a Douglas DC-3C, was owned by Johnson Flying Service, Inc. The aircraft was currently certificated by the Civil Aeronautics Administration and had a total of 5,738 flying hours. It was equipped with Pratt and Whitney model R-1830-S13CG engines and Hamilton Standard 23E50-473 propellers. Johnson Flying Service, Inc., is a noncertificated irregular air carrier, incorporated in the State of Montana, with its principal place of business in Missoula, Montana. It operates under Letter of Registration No. 916 issued by the Civil Aeronautics Board and Air Carrier Operating Certificate No. 7-1033, issued by the Civil Aeronautics Administration. These certificates authorize the company to transport by air persons or property internationally, overseas, and in the continental United States. Captain Harold A. Poe, age 32, was employed as a captain by the company May 5, 1953. He was senior captain in command and a company check pilot. He held a currently effective airline transport certificate with an appropriate rating for the subject aircraft. He had a total of 7,600 flying hours, of which 1,500 were in DC-3 type equipment. His last CAA physical examination was accomplished August 23., 1954. His last equipment check was on December 17, 1954, and last instrument check on August 10, 1954. Captain Joseph J. Grekowicz, age 26, was employed by the company as a copilot on October 13, 1953. On December 17, 1954, he became a reserve captain when he was issued an airline transport certificate for a DC-3 by a CAA designated examiner and company check pilot. He had a total of 2,450 flying hours, of which 800 were in DC-3 type equipment. His last equipment and instrument check was on December 17, 1954, and his last CAA physical examination was on August 24, 1954. Copilot Clarence E. Chapman, age 35, was employed as a copilot by the company on December 17, 1954. He held an airline transport certificate with commercial privileges., with an appropriate rating for the subject aircraft. He had a total of 6,200 flying hours of which 1,700 were in DC-3 type equipment. His last CAA physical examination was accomplished April 16, 1954. His last equipment check was on December 17, 1954. Copilot Charles R. Carter, age 35, was employed as a copilot by the company on December 17, 1954. He held an airline transport certificate with an appropriate rating for the subject aircraft. He had a total of 7,400 flying hours, of which 3,700 were in DC-3 type equipment. His last CAA physical examination was accomplished August 17, 1954. His last equipment check was on December 17, 1954, and last instrument check June 28, 1954. Captain Hobart Pringle Walker, age 35, was employed by Johnson Flying Service as a captain on June 12, 1953, furloughed in March 1954, and rehired in December 1954. He held an airline transport certificate with an appropriate rating for the subject aircraft. 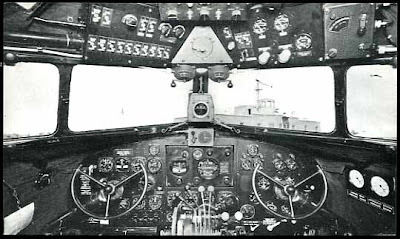 He had a total of 8,700 flying hours, of which 990 hours were in DC-3 type equipment. His last CAA. physical examination was accomplished May 20, 1954. His last equipment and instrument check was on February 13, 1954. On the subject flight he was employed as a cabin attendant.